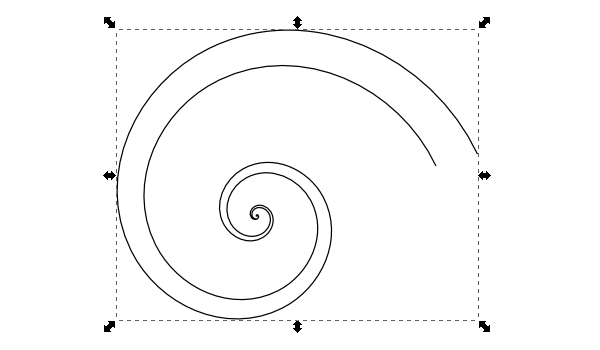 The Spiral tool is such a neat feature in Inkscape, but it’s uses seem limited. 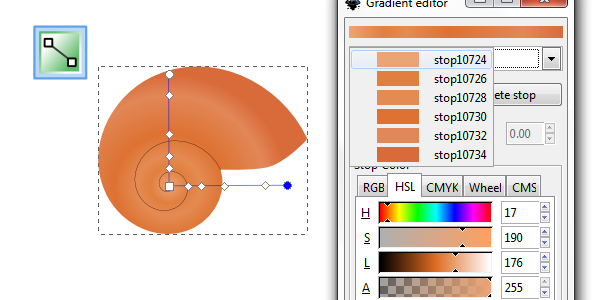 When you start messing around with the settings in this cool tool, you’ll most likely end up with something that resembles a sea shell. 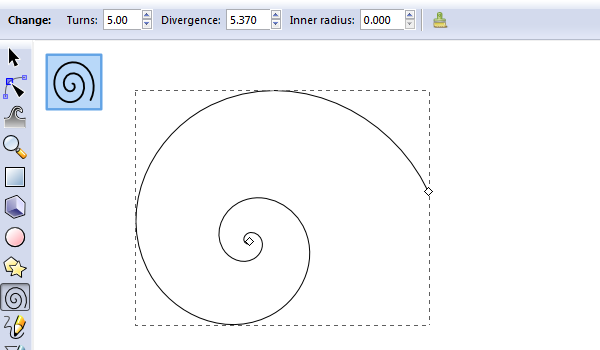 First thing’s first, grab that Spiral tool and draw a spiral. You’ll have to adjust the settings similar to how I have them below to get a sea shell type line. 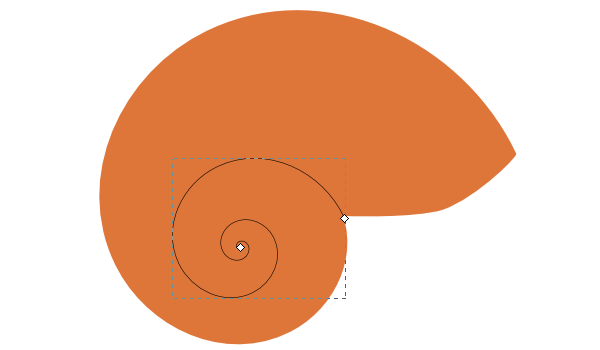 Now copy and paste this spiral and scale it a little larger. You’ll see why next. 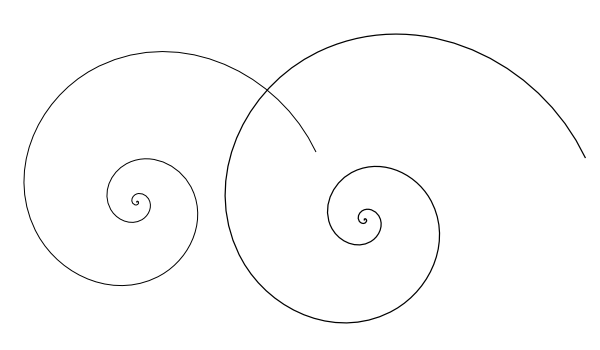 Position the larger spiral over the smaller one so that the center of the spirals are aligned like below. With both of them selected, head up to Path > Combine. 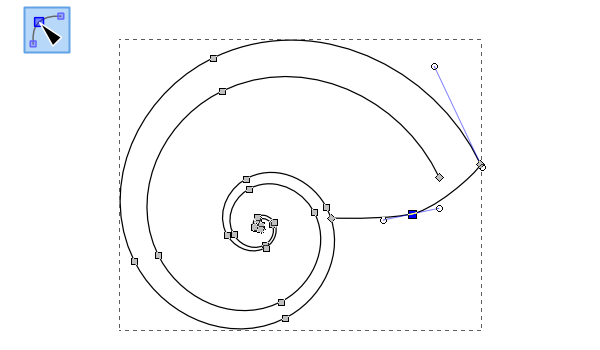 Grab the Pen tool and draw a simple two segment line to finish up the shell. Use the Node tool to smooth out and finish that line. Make it look like a sea shell, pretty much. 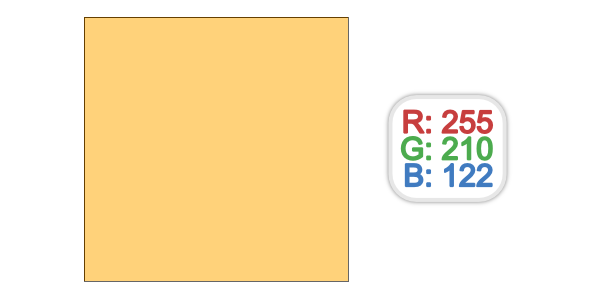 Now you can remove the Stroke and add some sort of Fill color for now. 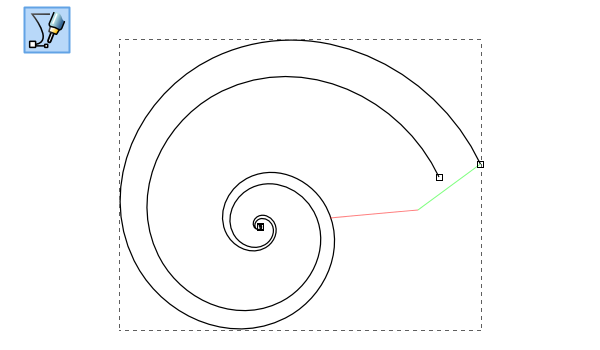 Then, draw another spiral like I have it below. 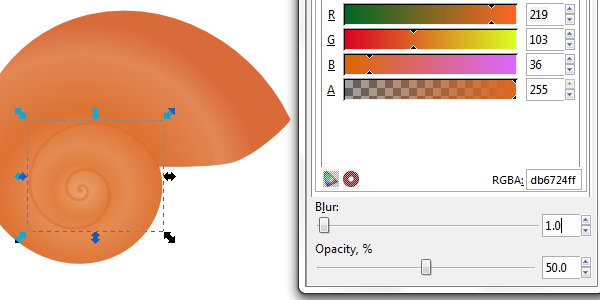 Go ahead and change the fill to a Radial gradient. I have 6 stops on mine that vary from lighter and darker versions of the root color. You can mess around with these to see what looks best. Finally, select the inner spiral and give it a darker color and set the Blur to 1. I also changed the Opacity to 50 just to blend it in some more. I’m going to add a sand background. To add a texture, copy and paste the background and add a Filter > Image Effects > Film Grain. Now you can change the Opacity to 20 and position it over the original background. Now you can position your shell, or even add a shadow or something. Looks pretty good! I thought this was a pretty neat use of the Spiral tool along with a bunch of other features. 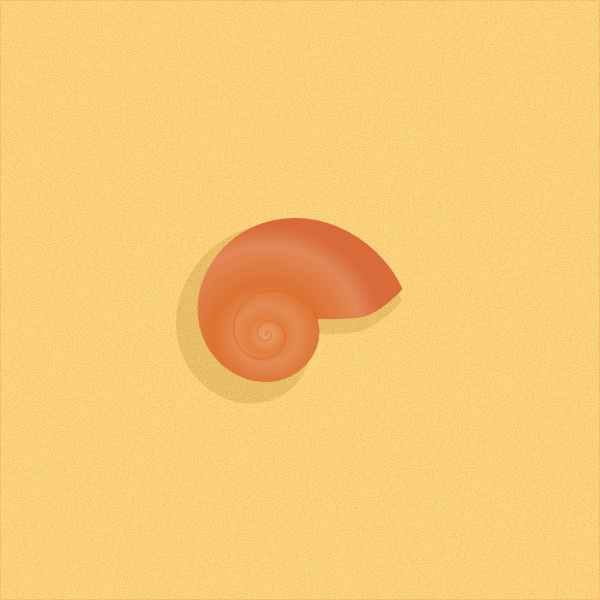 You could keep going and add more detail to your shell, but I wanted to keep it rather simple for this tutorial. Go ahead and give it a try!